The What: PreSonus is shipping its new ULT-series active loudspeakers. Designed for both mobile use and permanent installations by PreSonus’ WorxAudio commercial loudspeaker division, the series includes the ULT12 and ULT15 full-range systems and the ULT18 subwoofer. The What Else: The full-range ULT12 and ULT15 feature PreSonus’ proprietary, rotatable Pivot X110 horn and a proprietary, 12-inch 15-inch, low-frequency driver with a 2.5-inch voice coil. 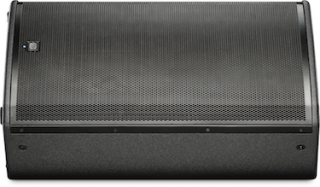 Both speakers are bi-amped and driven by a 1,300W (peak) Class D amplifier. The ULT12 generates up to 132 dB SPL, and the ULT15 delivers up to 136 dB SPL. PreSonus’ Pivot X110 rotatable horn combines ultra-wide horizontal coverage (110°) for broad coverage with focused vertical dispersion (50°) for better throw. In addition, the Pivot X110 horn’s size (11 x 11 inches) enables it to control the dispersion pattern lower in the frequency range than smaller conventional horns, so it maintains more consistent gain on- and off-axis, giving the audience at the sides the same listening experience as those in front. The intended result is sound reproduction that evenly fills the entire room. The horn can be rotated 90˚, so the ULT12 or ULT15 enclosure can be mounted in a horizontal configuration while still maintaining its 110˚ x 50˚ coverage pattern. Rotating the Pivot X110 horn can also help fix FOH issues in tall, narrow venues by minimizing early reflections and providing more directed coverage. Customers get two combo XLR and ¼-inch TRS inputs: a mic/line input with PreSonus’ XMAX mic preamp and a line-level-only input. The inputs have independent level control, allowing up to two audio sources to be mixed internally and summed to a balanced XLR output for "daisy-chaining" multiple units. A separate direct output for the line input channel provides additional flexibility. The ULT18 subwoofer is driven by 2,000W (peak) Class D power and uses a direct radiating, ported enclosure. A proprietary, 18-inch, low-frequency transducer with a 4-inch voice coil provides 7 mm of driver travel before over-excursion to push more air and bring more “thump.” A variable low-pass filter allows you to customize the crossover transition between the ULT18 and your full range loudspeakers. With a rugged, tour-grade enclosure and stereo combo XLR and ¼” inputs with direct outputs, the ULT18 is equipped for a variety of mobile and install applications. The Bottom Line: All ULT loudspeakers are housed in Baltic birch enclosures with a powder-coated steel grille, ergonomic handles, a locking IEC power connector, and a defeatable front-panel power-indicator LED. The ULT12 and ULT15 have multi-angle enclosures for use as mains or monitor wedges. The ULT series is available immediately from PreSonus dealers at the following expected street prices: ULT12 $1000, ULT15 $1,100 and ULT18 $1,300.